Looking for a cute and creative finish for your creation? 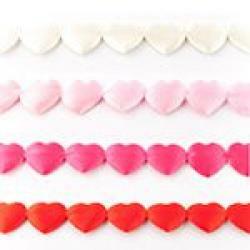 We offer nice hearts ribbons in different colors. They all have a shiny appearance. Hearts Ribbon 17mm - Black.. Hearts Ribbon 17mm - Dark Blue.. Hearts Ribbon 17mm - Cobalt.. Hearts Ribbon 17mm - Lime.. Hearts Ribbon 17mm - Red.. Hearts Ribbon 17mm - Fuchsia.. Hearts Ribbon 17mm - Pink.. Hearts Ribbon 17mm - Light Grey.. Hearts Ribbon 17mm - Offwhite.. Hearts Ribbon 17mm - White..